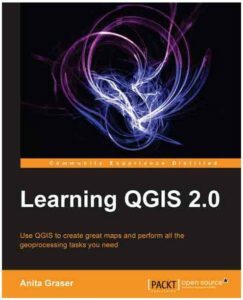 I have received a review ebook of Learning QGIS 2.0 by Anita Graser. It is distributed by Packt Publishing and can be obtained from here. I am currently working my way through the book and will be reviewing it soon. Thank you Packt Publishing for the opportunity! Become a Friend of Gnome! I’ve decided to switch from Ubuntu to Debian Unstable. A couple of years back I used to use Debian exclusively, but I got a little bored with it because it always worked! Well, I’m kind of tired of Ubuntu’s graphical issues and the strange decisions Canonical makes (though I do kind of like Unity). I’ve made the switch to Debian and have both Gnome Shell and KDE installed. I tend to use Gnome Shell more, and am actually starting to like it. There are no graphical problems like Unity had (Compiz always gave me problems, even before Unity). I think I’m pretty happy with the switch! I’ve been using Ubuntu 11.10 for a while now. So far it seems okay. It has a lot of improvements over 11.04. The main problem that I have is that sometimes, especially when switching users, the system fails to switch to the GUI properly. It normally isn’t a problem for me, as I know most of the shortcuts like Ctrl-Alt-F8 and stuff, but it isn’t good for my wife. I hope that problem gets taken care of in 12.04.